Under the patronage of His Highness Sheikh Maktoum Bin Mohammed Al Maktoum, Deputy Ruler of Dubai and Chairman of the Judicial Council of Dubai, Al Falah University participated in the sixth Maktoum Bin Mohammed Al Maktoum Competition for Image Trials. The competition is one of the most important initiatives in the field of Law. 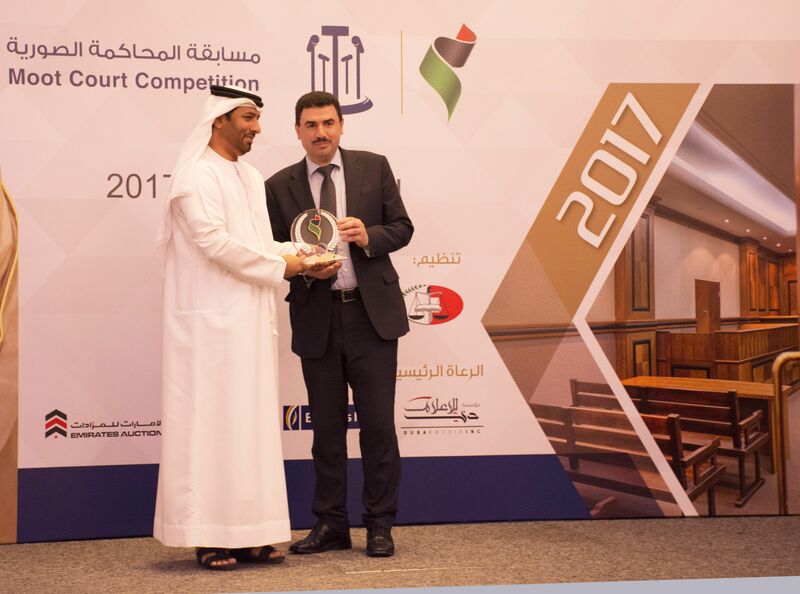 A delegation from the College of Law participated in the competition, the first of its kind to promote leadership and excellence within the legal and judicial community locally and regionally. The delegation included Hussein Al Ali, Shurafa Al Balushi, Suad Al Khoury, and Shatha Al Awadi, under the supervision of Dr. Ezzat Al Amri, Assistant Professor at AFU. Several universities participated in the competition including Al Ain University for Science and Technology, Qatar University, Dar Al-Hikma University, Sultan Qaboos University, University of Bahrain, UAE University, The UAE Police Academy, University of Sharjah, and St. Joseph University. Sultan Qaboos University of Oman won first place and the University of Bahrain in second place.